Vijay is one of the fines and mind-blowing actors in South Indian Films Industry. Vijay has so many fan and followers. 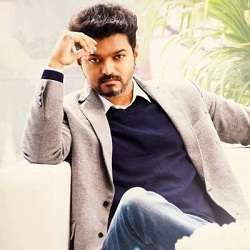 Vijay’s real name is Joseph Vijay Chandrasekhar and he born in Madras. His date of birth is 1974, 22th June. Right now Vijay is 44 Years old.